This morning I joined other members of the Five Flags Dog Obedience Club in an obedience and down-sized agility demonstration, followed by square dancing with our dogs. Our location today was a convalescent home in Pensacola. We all arrived, if not soaking wet, at least very damp. Minutes before our arrival a storm cloud dumped several inches of rain in a short time, which is usual for summers in Florida. Try loading a dog into the back of a car without either one of you getting wet. Yah, right. Ain’t happenin’. It’s always nice to close the back of the Subaru and get dumped with a deluge of water that has pooled on the top of the hatchback. I could see my Border Collie laughing in his dry crate. That scene never gets old for him, I’m sure. His eyes were sparkling so I know he was laughing. At the convalescent home a local reporter was there taking photos of us while we entertained the senior citizens. Hopefully we can see the pictures online at some point. He also followed us around the previous week during a square dance demo at a local church. It’s nice to have our fifteen minutes of fame. And nice that my dog didn’t do anything embarrasing to me while in the public eye! Now it is raining again, the dogs are trying to nap in between occasional claps of thunder. Somewhere during this humid day we need to do some obedience training. The nice thing about Border Collies is that they are always anxious to DO something, anything. Hanging out just is not their style. We don’t play fifty repetitions of ball throwing any more. It would be nice if they just ran and picked up the ball or frisbee or whatever I throw. No, they have to jump into the air, twist and turn, maybe stumble in the process of scooping up the article, fall over each other or nip each other in the process of returning to me. Eventually someone gets an owie, a limp or gets upset because one dog hogs the ball. So now they have to entertain themselves or wait until I set up the jumps and run them through their exercises..for food…cheese or hot dogs or whatever is handy. They are allowed to play with their big ball, an item that was advertised as virtually indestructible. It ain’t. At the most my purchase lasts a few months. I’m still looking for a big rubber ball that will outlast three Border Collies. I’ll pay the usual $16 and buy three, again hoping it will last at least a year. Mickey plays soccer with what’s left of the current red Sitstay.com 10″ ball. Levi chases him around during the soccer game and River likes to hog his own ball, grabbing it, growling or just sitting next to it in the shade. Who needs TV? These guys keep me entertained. Did I mention? I love them. They are my life. 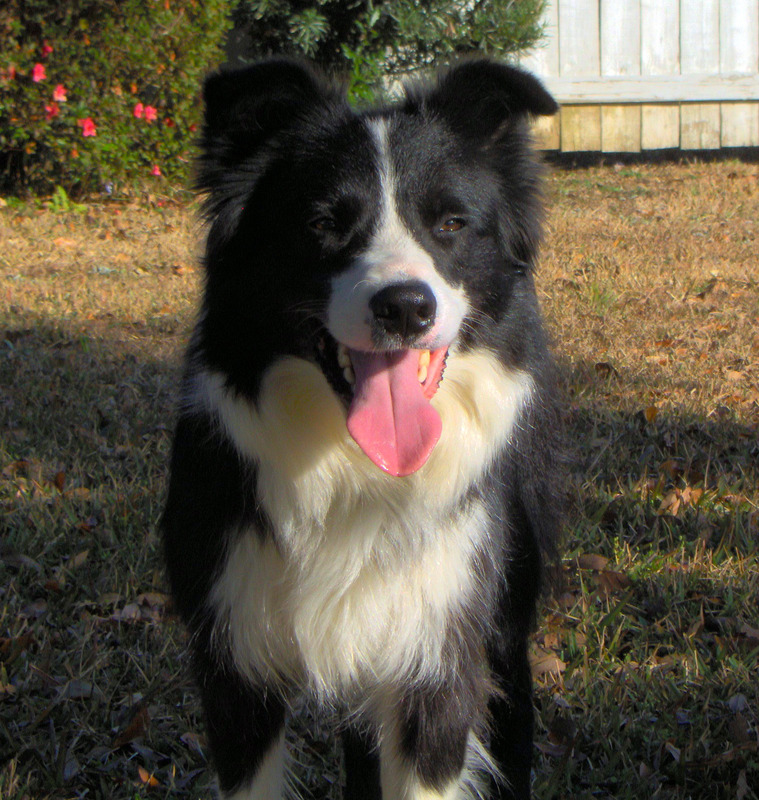 This entry was posted in Uncategorized and tagged Border Collies, dog obedience, dogs. Bookmark the permalink.